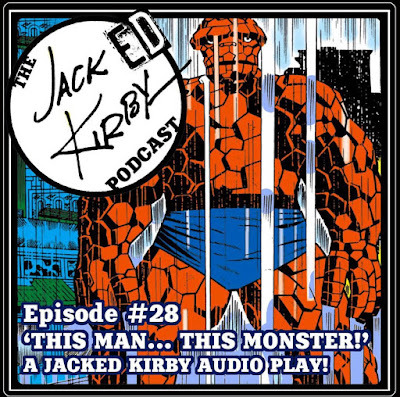 For the last year or so we have been recording the Jacked Kirby podcast and it has been a blast. But as we closed in on that magical 1 year anniversary Tommy & I decided we needed to do something big... something SUPER SIZED that is fitting of The King! 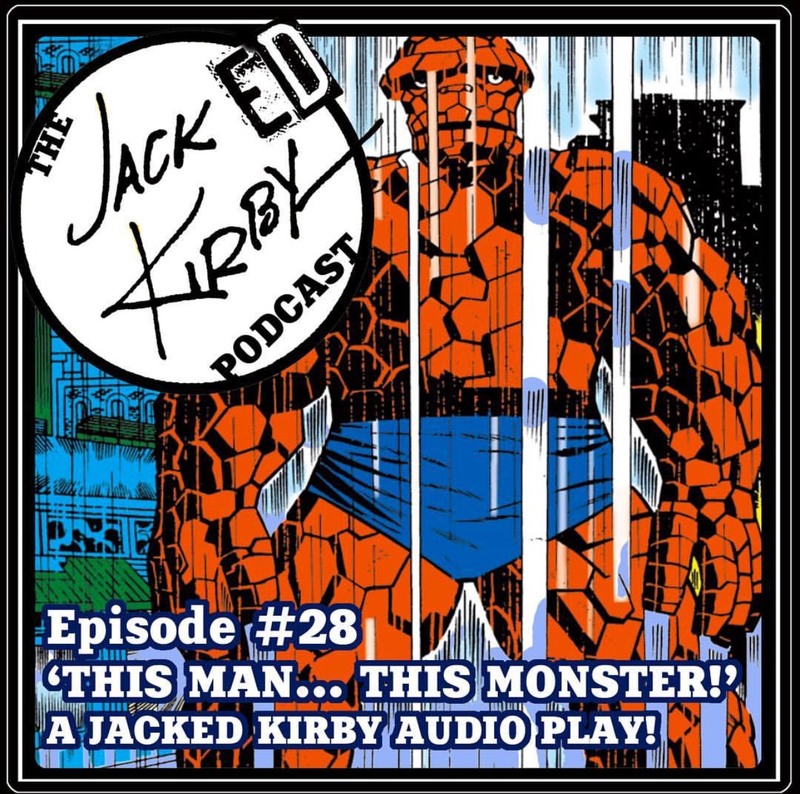 So we rounded up all the usual CCD Suspects (Tommy, Mike D, Reverand Sal, Young James West, Big Al Boulder, Joey Esq and Rob Martin) to put together an ole timey audio play based on the classic Fantastic Four issue #51, "This Man... This Monster!". We got the whole team together in one room, had tons of laughs and recorded what we like to think turned out to be something very special. So from us here at Jacked Kirby to all you out there who listen.... THANK YOU and ENJOY!!!! Special Thanks as always to our super producer Rob Martin! He really went above and beyond on the production for this audio play. Also a big shout out to Tommy Lombardozzi who thought up this crazy concept and delivered it to fruition!